There is a strong link between pain, anger, and abuse. With few exceptions abusive people do not want to be that way. The problem is the lack of self-awareness that you are being abusive. When you are upset you are detached from the details of the situation that set you off. It is now all about you combined with your body’s physical response. In presence of chronic pain it can quickly turn into a rage. You have no ability to appropriately respond to the needs of the people who are around you. Lack of awareness is the essence of abuse. Anger is the ultimate state of being unaware. A patient’s experience reminded me recently what it was like to be on the receiving end of my mother’s outbursts. 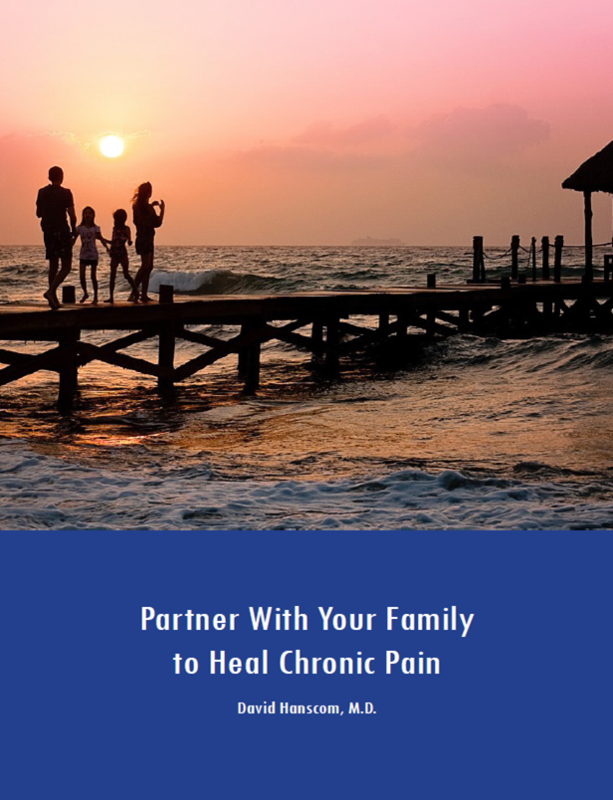 She experienced chronic pain most of her life. My patient was a middle-aged woman a long history of severe chronic pain in her neck and low back. She had undergone over ten failed operations on her spine and had been in pain for over 15 years. Her frustrations were more than legitimate. She had been married about twenty years. It had become clear to me that she was pretty reactive to her family in my office, which is a tip-off that life at home might be tumultuous. I had performed a fairly successful operation on her a few years ago and I had not heard from her in a while. She called me up reporting that her prior pain had returned and was worried that she had developed some new problems with her back. As she now had most of her spine fused I was pretty sure that was not the case. I have learned to ask how other parts of life are going when my patients have flares of their pre-operative pain. About two months earlier she had exploded at her husband at a level she had never done before. She quickly realized that he did not deserve it and profusely apologized. He left her. He was done and was not sure what he was going to do next. She was distraught. I have learned that when pain pathways are triggered by stress the pain pattern is often similar and the intensity is also usually very close to the original pain. Instead of re-doing all of her tests I asked her to engage in some of the tools described in this web site. She had been fairly resistant to them in the past. Would You Marry Me Now?? She began to write and re-looked at the section on anger and family issues. After several intense conversations she became aware of how unpleasant she was to be around when she was upset. I reminded her that her spouse would not remotely have married her if this were the side of her he saw while they were dating. To make a relatively long story short I first asked her to quit apologizing and take action. The action being to become the person he knew when they first started to date. What precipitated that advice was my own early experience. My mother would frequently fly into rages. They could last for a few hours or a couple of days. We never knew what would set them off or what would calm them down. One example that stands out in my mind occurred when I was six years-old. I was having dinner with my three siblings. My father was always at work. We were not being particularly difficult and I was just quietly eating. As I reached across the table I accidently knocked over my glass of milk. My mother began to scream and came flying across the room. She punched me in the jaw. After every one of her outburst she would become incredibly remorseful and apologize profusely. Then she would tell us how much she loved us. This happened every time. As this was the only reality I knew it was incredibly confusing to me to understand what love might be. I also quickly grew to not put much credence in apologies since the same behavior continued. If you are truly sorry, change. True remorse implies doing things differently in the future. Stop doing to your family what you hate to do–taking out your frustrations on them. They do not deserve it in the slightest. Take action and engage whatever process it takes to stop your reactivity. Use your tools. You cannot just change without them. Additionally become pro-active in creating a home life full of love, creativity, and joy. Why do any of us ever let that vision go when we have so much choice in our modern world of making it happen? Trust me. The apologies don’t work—at all. They are not a substitute for action. Being really sorry implies restitution and change. BTW, I don’t know how this patient’s story will end. She has re-engaged on working just on herself—not her spouse. She gets it and has taken full responsibility for her role in driving him away. 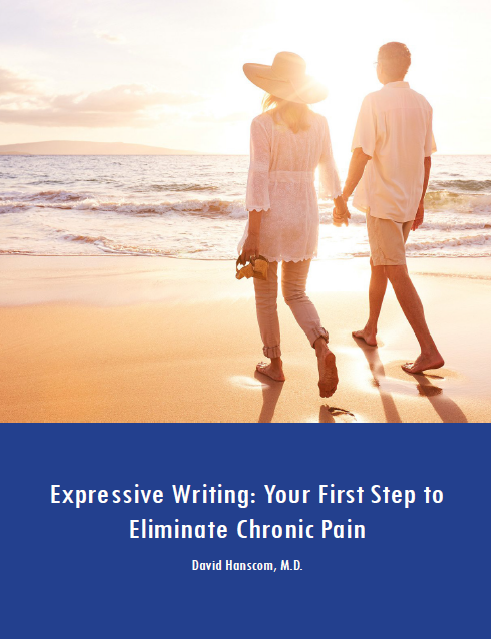 Regardless of how her marriage turns out her pain has decreased to a minimal level.